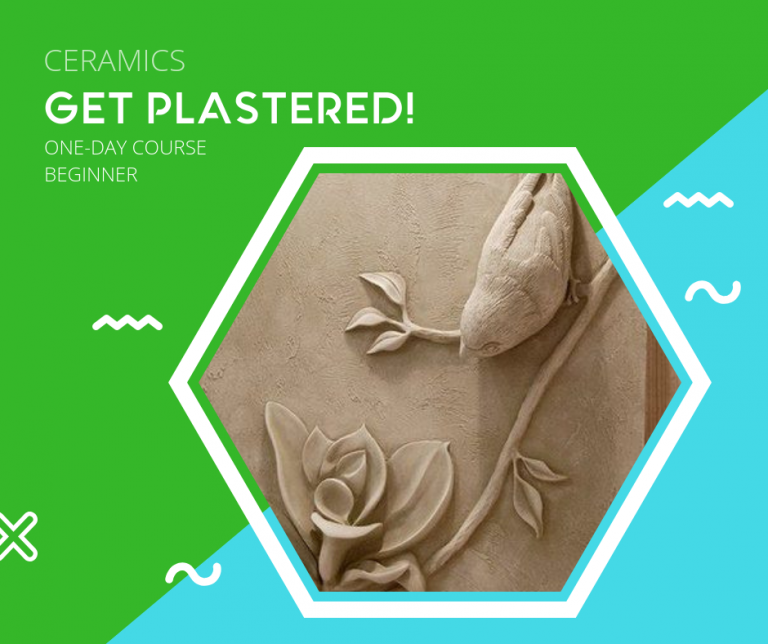 EcoStudio’s ‘Get Plastered!’ is a fun introduction into the world of clay – oh, and a zero-stress way to end your week! In this workshop participants will get their hands dirty while learning how to make a textured plaster relief using a clay mold. Explore different finishing techniques on plaster. Check back soon for upcoming dates! Email learn@ecostudio.ngo for more information. EcoStudio recommends wearing clothing you don’t mind getting dirty. Please note that open-toed shoes are not allowed at EcoStudio. Participants must provide a copy of their insurance policy prior to commencing course. PARTICIPANTS MUST PRINT AND SIGN FAB LAB ECOSTUDIO WAIVER PRIOR TO COMMENCING COURSE. WAIVER IS SENT TO PARTICIPANT UPON REGISTRATION FOR COURSE. NO EXCEPTIONS. EcoStudio reserves the right to cancel or postpone a course at any time, including but not limited to, lack of participation, classroom, equipment or trainer availability. If full payment is not received three days prior to course commencement EcoStudio reserves the right to relinquish participant’s reservation. Cancellations received less than 5 business days prior to course commencement will only receive credit towards a future course. Cancellations received 3 days prior to course commencement will only be reimbursed 50% of the course fee. No-shows will be invoiced the full course fee. *Fab Lab EcoStudio's hours of operation do not reflect course hours, which may take place after hours of operation.